We are glad to invite you to a tour at the Seaplane Harbor Maritime Museum in Tallinn. Originally the hangar for seaplanes was built as a part of Peter the Great's Naval Fortress. The hangars were built in between 1916-1917. Those hangars are the first construction in the world which has it’s carcase and top made of armed concrete. Seaplane Harbor is a real treasury of Estonian marine history! Here we can learn about the life on the water surface and under the water; visit a real submarine and icebreaker; get to know new things about underwater mines and yachting, a sport that is so popular in our country. 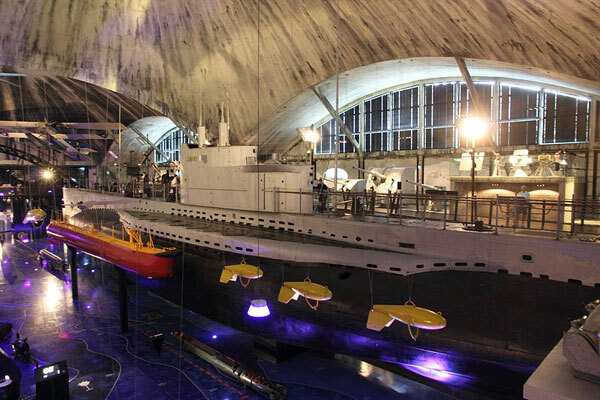 The museum is filled with lots of modern computer entertainment like flight simulators, submarine journeys, and RC model-ships. You can try on a sailor uniform and take some pictures and, of course, a guide will introduce you to a whole new world with his marine stories. Interaction and modernity of the museum surely won’t leave anyone bored — from the youngest ones and to already grown up lovers of marine romance. Medium - the tour takes place at the museum where you can find some seatings in case you need to rest.